changing the products per page for your WP EasyCart is really quick and easy. 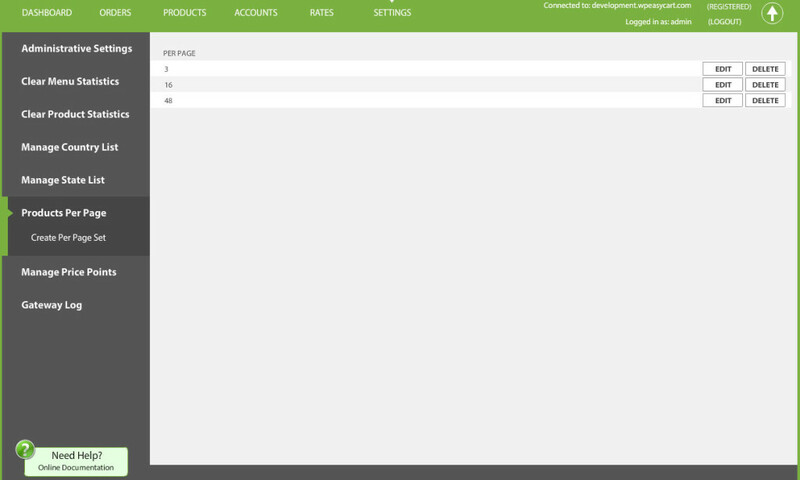 Go to your WordPress Admin -> EasyCart Admin -> Store Admin -> Settings -> Products Per Page. You should edit the values here. The default selected value is always the middle value for the EasyCart.